Merry Christmas gents. Was just talking to my sister about the hours (years?) spent playing CS. Great memories. Hopefully you still have the old hardware lying around and you can run it on that for old times sake too! Legendary Brian! You've been a good santa for a long time.. If I remember right you sent me some flip flops one year. I've never even played, going to have to give it a shot. Ha I'm amazed BfB is still up and running too. Looking at the forums you could say that HF is very active community in comparison. There's clearly more people hanging around here than are posting with the # of views on this... Lurkers! HF is older now than I was when I first started playing here. Happy birthday! Topic: How to get to Hardfought IRC!!! Re: How to get to Hardfought IRC!!! I recall it being a little more active a year or so ago with some crypto currency talk. I occasionally idle freenode, forgot to add hardfought to my auto join! KC I figured you would still be on dial up... and would still be awping like a champion. I guess I'm never allowed to complain about my service. 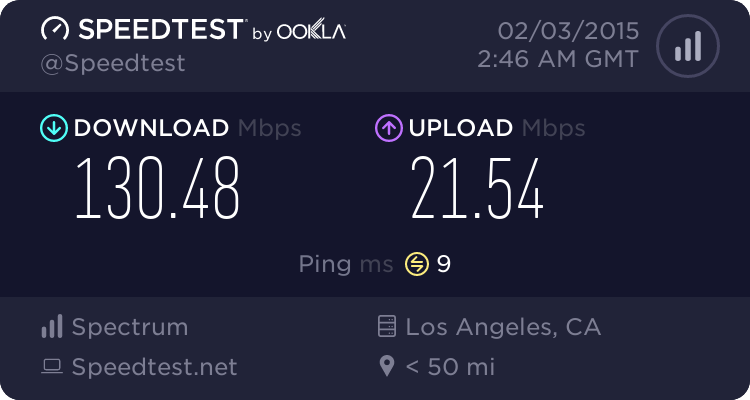 Apparently there's some people getting 300mbps from Time Warner here in LA too. Hell yea. I'll keep the channel open while I'm at the office. One more thing to stop me from actually doing work. I give it another year.. you'll cave. Anyone played GO? Happy new year all. Definitely quiet around these parts..
Oh man, great find. Puppy showing up out of nowhere too... Had to be 10+ years ago that I tried to meet up with you down in Florida. That IP is forever burned into my brain, along with the horrors of playing games with sX as an 11 year old kid.